With the Branson Shows Vacation Package, you get a three-night stay at the hotel of your choice, as well as, admission to three of the best shows that Branson has to offer − Dolly Parton's Stampede Dinner & Show, New Jersey Nights, and Hamners' Unbelievable Variety Show. Dolly Parton's Stampede Dinner & Show will thrill people of all ages! Show up early and enjoy a pre-show before the real performance begins. Watch as the North battles the South for victory with a stunning display of horse-riding competitions, all while you enjoy a delicious down-home four-course meal. The cast of 32 horses, a herd of ostriches, and dozens of very talented men and women will keep you entertained throughout this two-hour show. Visit Hamners' Unbelievable Family Variety Show to see an incredible ventriloquist, beautiful birds flying about, and some of the most talented people singing and flying through the air! 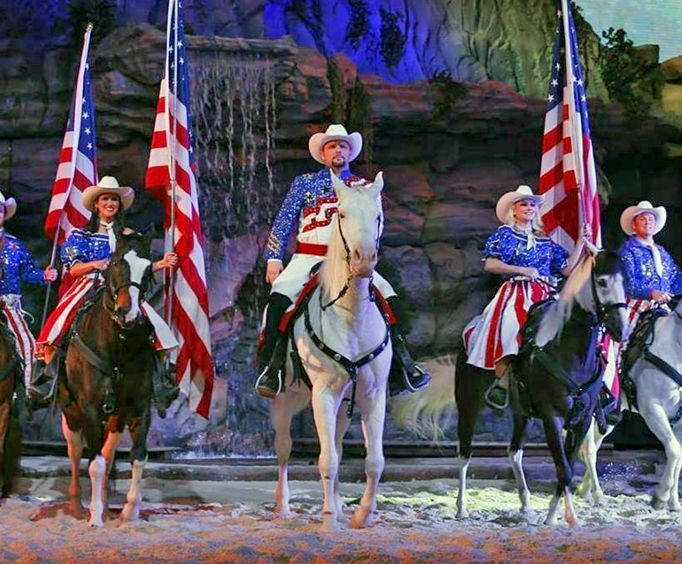 This new variety show is a Branson hit, so you won't want to miss out on your vacation. At the New Jersey Nights show, guests will be treated to an evening of amazing music! This show allows guests to dance and sing along with their favorite Frankie Valli and the Four Seasons songs like, 'Big Girls Don't Cry' and 'Walk Like a Man'. It's sure to be a blast! Branson has a plethora of lodging options to choose from so you are sure to stay in the exact hotel you are looking for on your vacation. Each of the 77 hotels has great amenities, so browse the options and take your pick! Take advantage of this package that bundles the best of Branson by purchasing the Branson Shows Vacation Package today!